Sunday, December 11 from 1-4pm, get in the holiday spirit with a pop-up workshop with TangleWild Designs and Spoonflower. 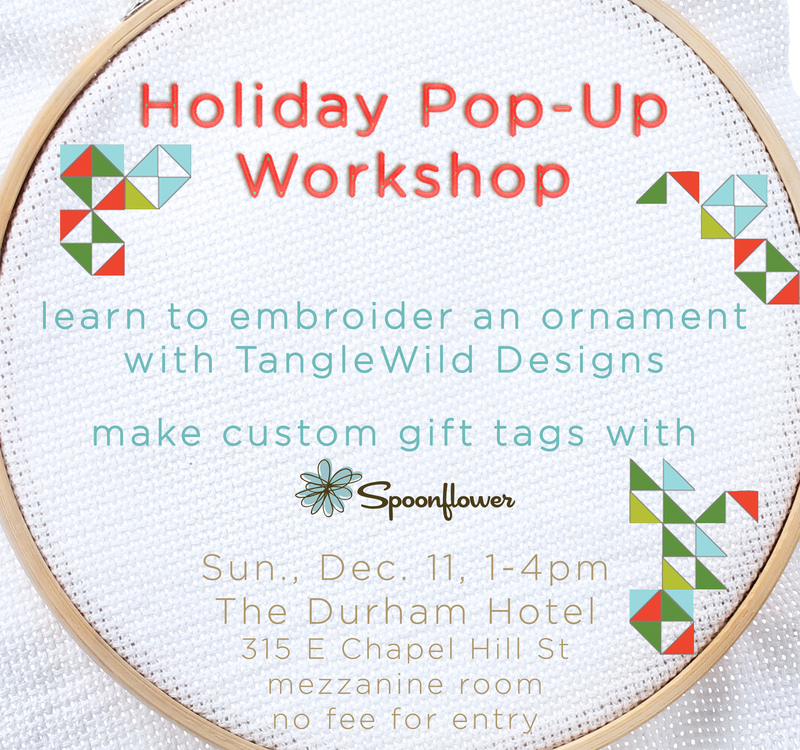 Learn to embroider your own ornament during TangleWild’s 20 minute tutorials (starting every half hour), create fabric wreaths, and design your own holiday gift tags using Spoonflower’s woven and smooth wallpaper in designs created by independent designers all over the world. Sign up for a specific time for the embroidery tutorial (starting every half hour) here. Walk-ins welcome. Make a day of it by joining us for coffee, cocktails and brunch in the restaurant from 11-3pm. Reservations at 919-768-8831. Find out more about TangleWild’s embroidery kits inspired by modern art and international textile traditions here. Learn more about Spoonflower’s community of designers and possibilities for printing fabric, wallpaper, and gift wrap here.